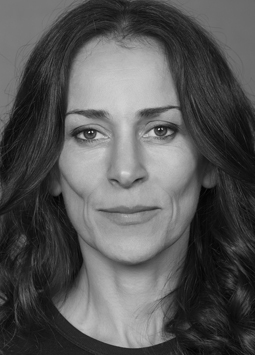 Lucia has enjoyed a very varied career in film, TV and theatre. She was a part of the much acclaimed Doppio Teatro Company in Adelaide for a number of years as well as part of the physical theatre company of Legs on the Wall for the national and international tour of Under The Influence. For the State Theatre Company of South Australia Lucia has performed in plays such as The Merchant of Venice, Six Characters In Search Of An Author, A Little Like Drowning , The Venetian Twins and the internationally toured and acclaimed physical theatre piece VERONA, which she also helped create. In Sydney, her theatre credits include: My Vicious Angel, Love and Magic in Mammas Kitchen, Popular Mechanics I and II, directed by Geoffrey Rush and Macbeth for Company B Belvoir St and This Little Piggy for Sydney Theatre Company. For television she has had guest roles in shows such as: Three Forever, Water Rats, Inside Out, All Saints and Police Rescue. Lucia’s film credits include Blackrock. The US block buster Stealth and more recently, in the much acclaimed Australian feature Look Both Ways. Although Lucia’s great love is the theatre she is currently writing on a Television comedy series soon to be seen on Australian television. Her voice work is just as varied from several radio plays for the ABC Radio National programme which demands a good command of accents and different character voices to the animation work she has done for film (NAPOLEAN) and radio advertisements. She worked on a regular basis in Adelaide as a voice artist for Street Remley Studios.